It is that time of year again when Green Beings conducts an annual campaign called Ethoma ka wena (Sepedi for: begins with you) in celebration of Arbour Week and National Clean up Week. The Campaign is hosted in eight Cosmo City schools, North of Johannesburg. 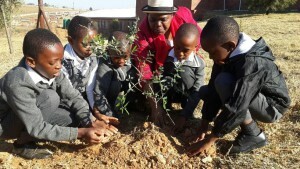 The aim of the campaign is to create awareness of the importance of trees and a clean community. 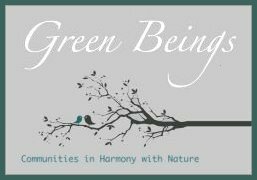 This year Green Beings has collaborated with many stakeholders to create further awareness within Cosmo City Schools and community. 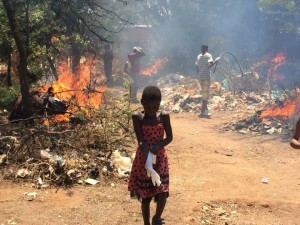 Stakeholders include: Gauteng Department of Agriculture; City of Johaburg; Joburg City Parks & Zoo; Pikitup; Tuffy; Grow A Tree; Reel Gardening; Petco and Paint Master. It’s a collaboration that is able to make a real meaningful difference in the lives of underprivileged people in this community. The campaign will kick off with guest speakers conducting a special assembly at each school reiterating the importance of living in harmony with nature. 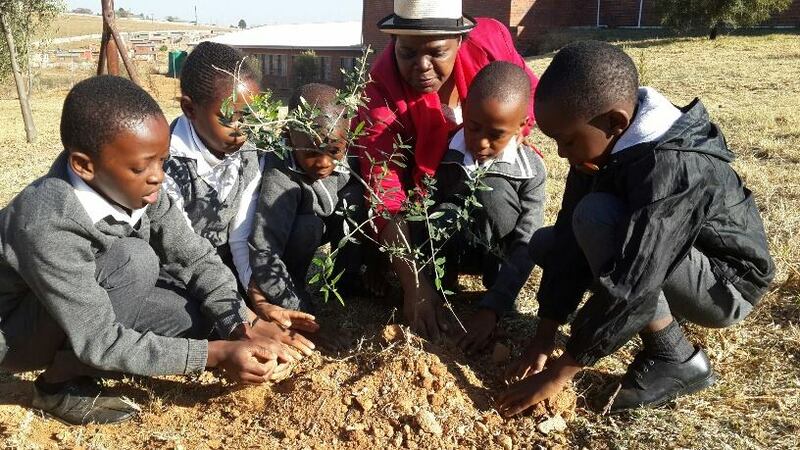 This years tree of the year “ Parsley tree” will be planted on the school ground by each principal as well as other indigenous trees and shrubs to beautify the baron school grounds. 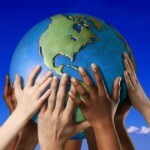 During National Clean up Week each school will take part in clean up on their grounds. Wasted collected will be sorted into different waste types. The local trollypreneurs will educate staff and leaner’s on the value of waste and how to sort it effectively to generate maximum income from recyclables. 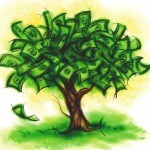 The campaign will end with each school creating a complimenTREE. 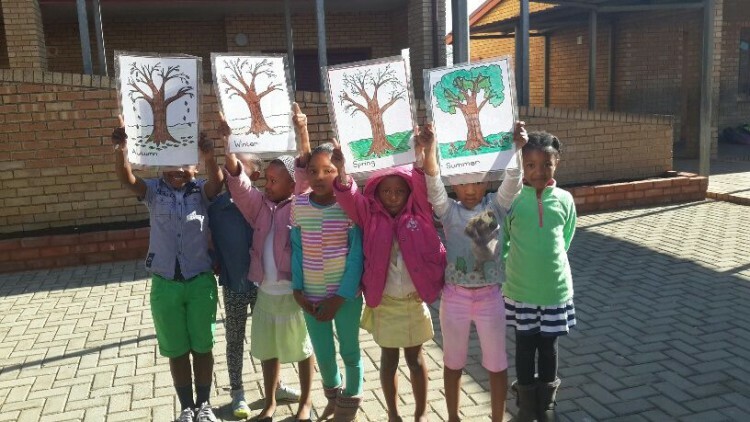 Each learner will put their green handprint on the cardboard branches of the tree with a message of promoting a clean healthy environment for all to enjoy. It’s through campaigns such as these that highlight the importance of taking action and conserving our natural environment. The Ethoma ka wena campaign has been running for the past 4 years. ‘It is amazing to see the difference we have made within the schools by empowering schools with the knowledge and skills to take action and promote education for a sustainable development’ says Alex Frost co-founder of Green Beings NPO. Ethoma ka wena, it begins with each individual to contribute in making a real change in South Africa our beautiful country.